Leaving mama's nest means one thing: you're on your own for dinner. When Nico and I moved into our own place, my sister-in-law sent me the most amazing pork chop recipe by Tasty. A little intimidated at first, because the only pork chops I ever knew were either breaded or grilled, I put off trying it out. 7 trials later and I'm practically stabbing myself for not trying this recipe sooner. If you're into spicy, I urge you on behalf of yo' tastebuds to make this as soon as possible. 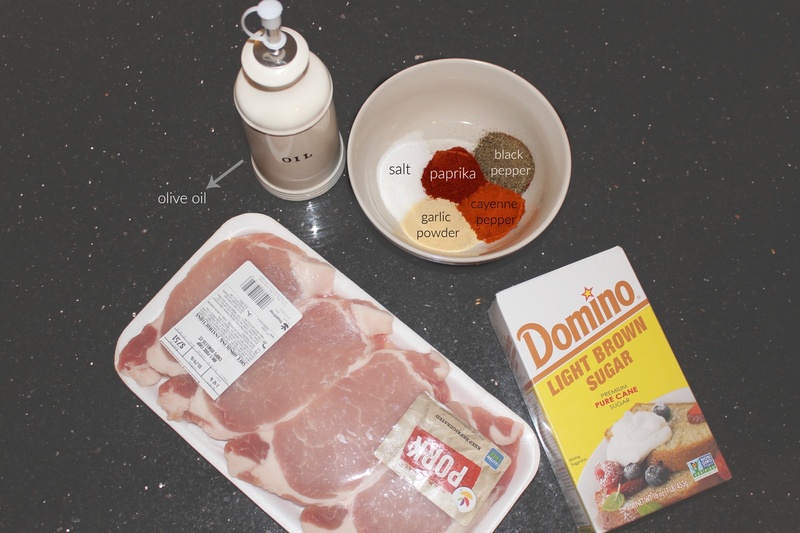 Your pork chop game will never be the same! 1. Rinse pork chops under cool water. Pat dry with paper towel. 2. 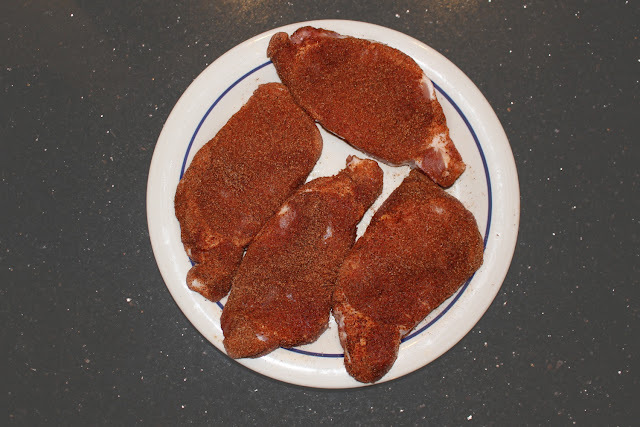 Combine all spices except brown sugar (garlic powder, salt, pepper, paprika + cayenne pepper) in a medium sized bowl to create a dry rub. 3. 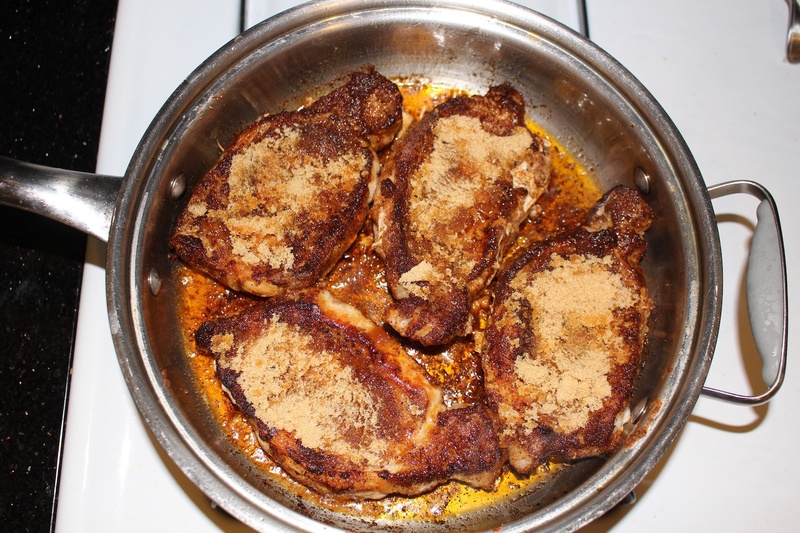 Generously rub the pork chops in the seasoning mix on both sides. 4. Coat the bottom of a skillet with olive oil and heat over medium/high. 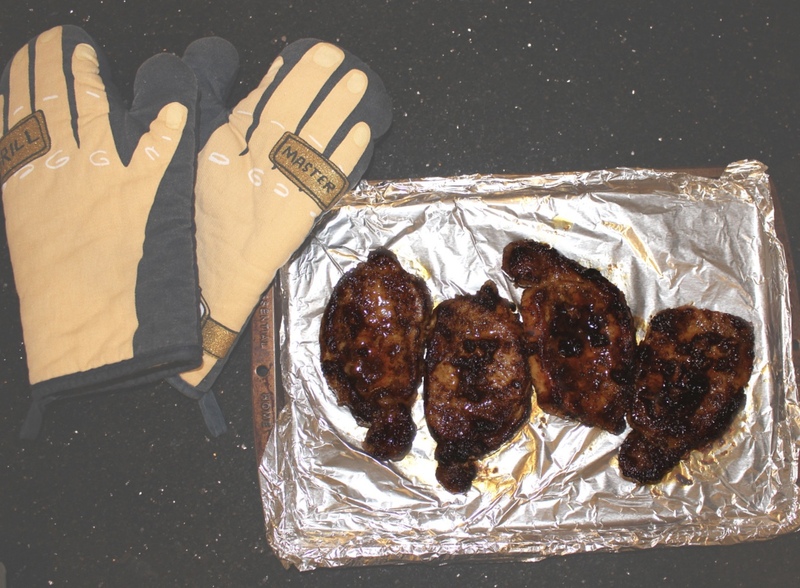 Once oil is super hot, add the pork chops and cook 4 minutes on each side. 5. Once browned, add the brown sugar (1 tablespoon per pork chop) and spread on top of the meat to melt. 6. Flip pork chops (brown sugar side down) to cook for 1 minute, then repeat on opposite side so that both sides of the pork chops cook in the brown sugar glaze. 7. Bake in oven at 350˚F for 12 minutes, or until cooked thoroughly. For video directions, you can view Tasty's version here! Thank you to my S.I.L. Julie for sending me this friggin' amazeeeee recipe that I will be using forever! 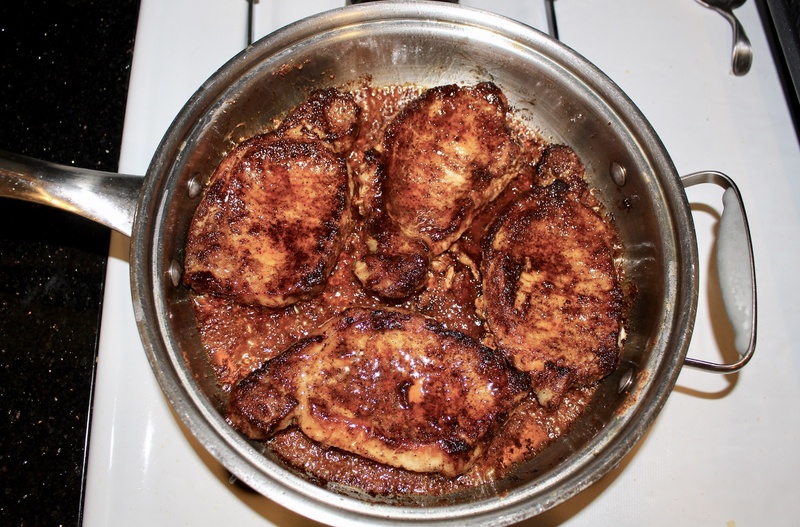 What's your favorite way to cook pork chops? Plz share!